Are you looking for a youth hostel in Valencia? Home Youth Hostel is an economical lodging placed only a few meters from the Central Market (Mercado Central) and behind Silk Market (La Lonja). It offers both, quality and good prices. 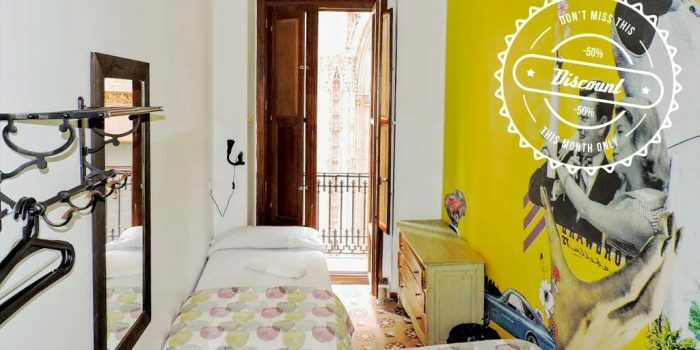 Home Youth Hostel is the perfect spot to stay in Valencia for travellers who want a comfortable (no bunkbeds), clean place, full of colours and vibrant atmosphere. Our rooms are colorful, uniquely designed and full of light. All guests share large common zone with fully equipped kitchen and lounge with TV. Of course you can enjoy free Wifi all around the building. We have 24 hours reception and multilingual staff who will be gald to help you with any information you need. If you want to know more about Valencia check out our Valencia Guide in our Home Hostels Valencia website. In Home Youth Hostel we are are proud of our quality in services, cleanliness and decoration. We can offer low-cost prices of lodging for big and small groups of travelers. 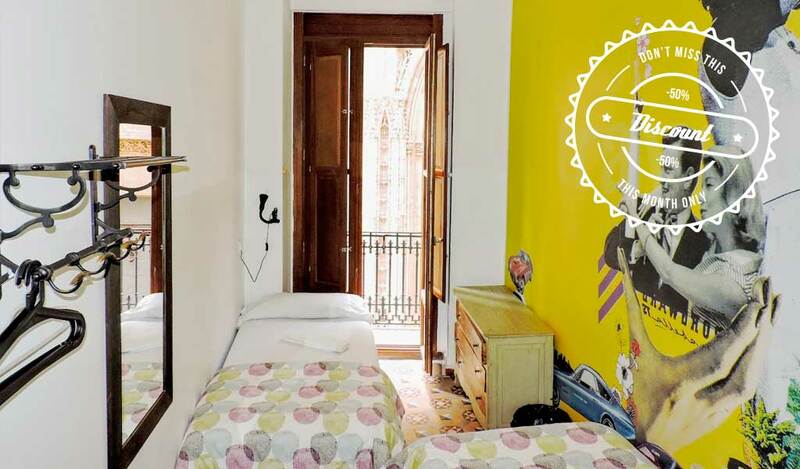 If you look for a hostel in Valencia, you found the perfect one! Stay in Home Youth Hostel, placed in the city centre!